Taking responsibility for people and the environment is a key issue for Shimadzu. This is why we have started various projects benefitting needy individuals and institutions, while also giving our colleagues a platform for personal social engagement. Dedicating a full workday to a social project– our pleasure! 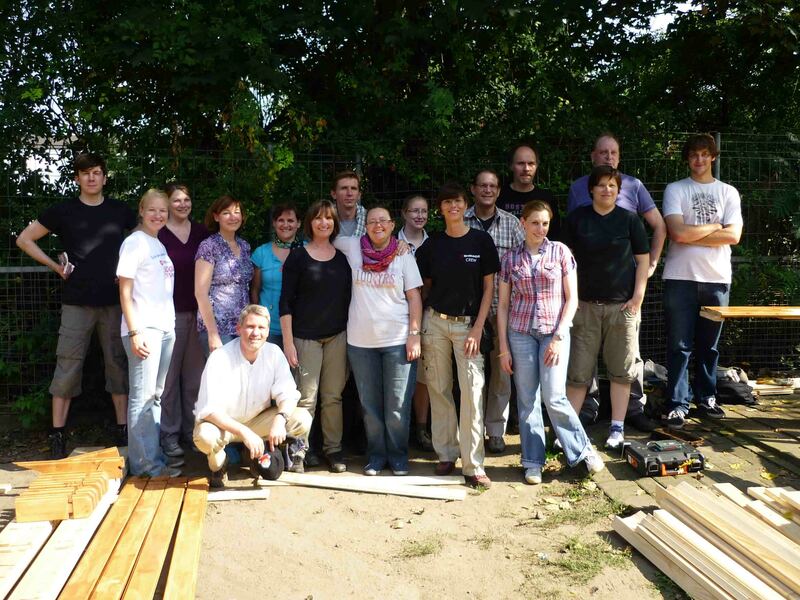 Also in 2015 Shimadz didn´t miss the chance to spend one day, supporting a social project in Duisburg. This year the City of Duisburg draw our attention to the adventure playground "Tempoli". This municipal adventure playground is located in Duisburg Homberg-Hochheide, which is marked by a high social pressure for children and youths. Especially kids, living in financially weak households, get the ability to spend their free time in a highly qualitative surrounding. But the low personal capacity taking care of the playground, isn´t able to maintain the large area as they would like to. So we rolled up our sleeves and started optimistically our work! A nature trail needed to be cutted clear, to open the access to the different "experience stations", like the barefoot path. Weed was removed, shrubs cutted, a raised bed garden removed and a stack of wood prepared for waste disposal. At the end of the day we very proudly looked back on a day full of tough work, many successfully completed missions and a committed team-work of Shimadzu and Duisburg colleagues! Press response and a video about our "nature-adventure-playground-day" (in German) is available here. In 2014, Shimadzu focused on the next project. 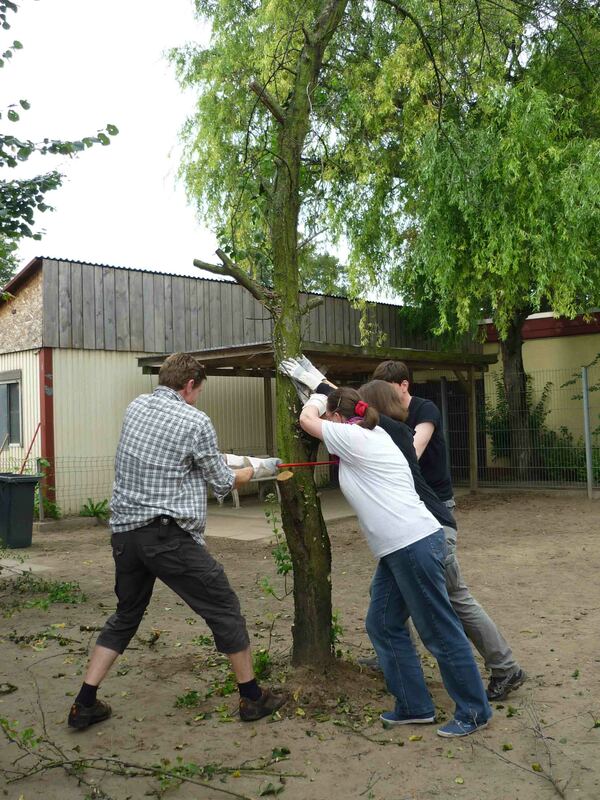 Within a short time, we identified the ideal partner to work with as the animal rescue organization, again in Duisburg. Its team was really happy when we offered our help.They have to rely mostly on volunteers for daily business, and it lacks time for repair, paint and decoration works. 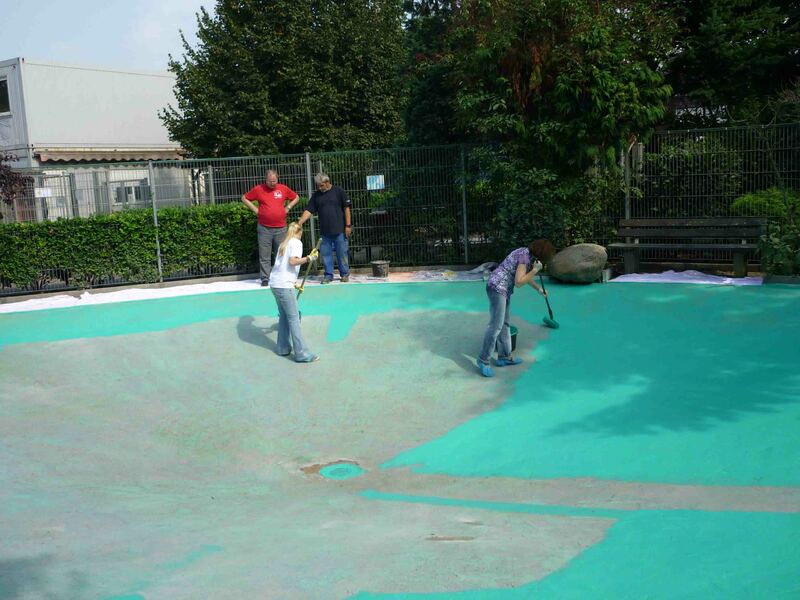 18 Shimadzu colleagues gave their best to make animals and their care workers feel comfortable again.We cleaned up the storage room and painted the dog swimming pool. We cut down a tree and built a wooden hut. Tired but proud, we could look back on a really exciting team project. Social Day 2013: Helping the Malteser kindergarten "The little rascals"
In 2013, Shimadzu organized its first Social Day together with the Order of Malta volunteers. 25 Shimadzu colleagues committed to the „Maltese Social Day“ in different cities around Germany. 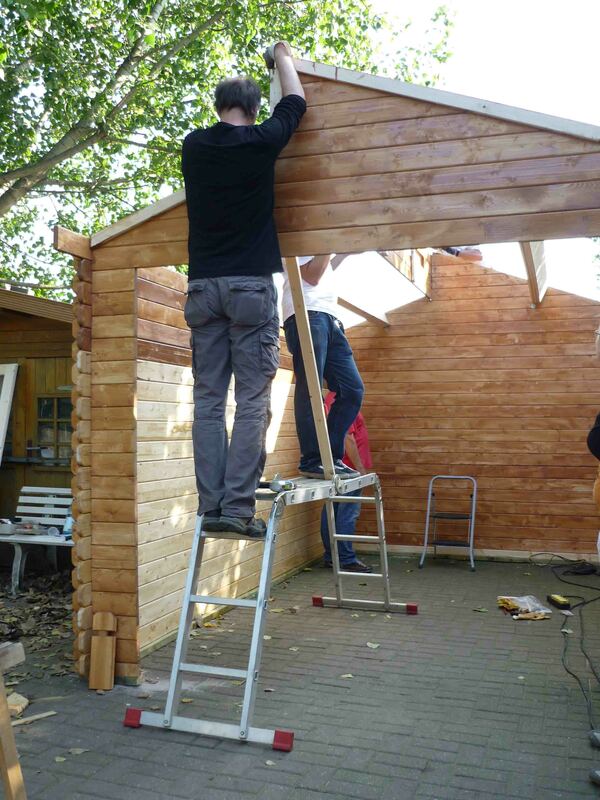 The largest group gathered in Duisburg to work on a bigger project: renovating the Order of Malta’s “the little rascals” kindergarten. 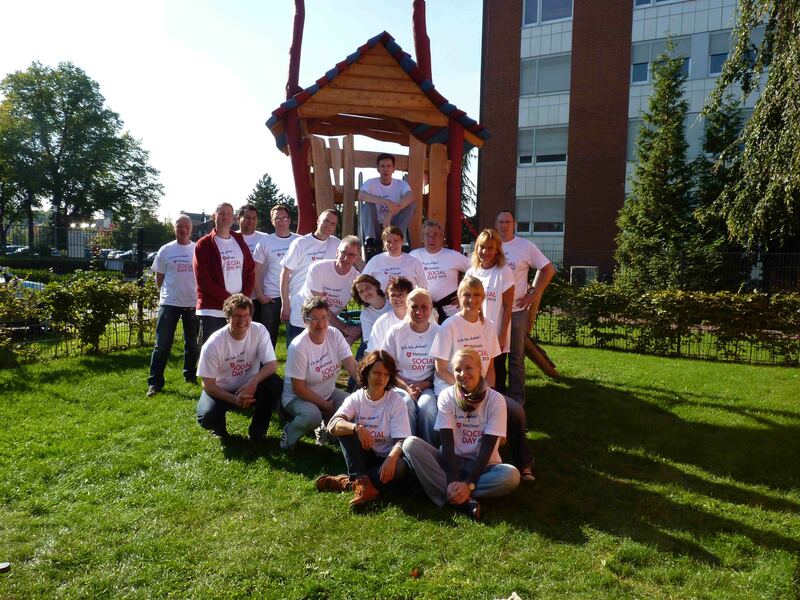 Together, the group painted walls and furniture, repaired broken toys and planted flowers. Within a day, the Shimadzu colleagues created a pretty environment again. This only works with a committed team.